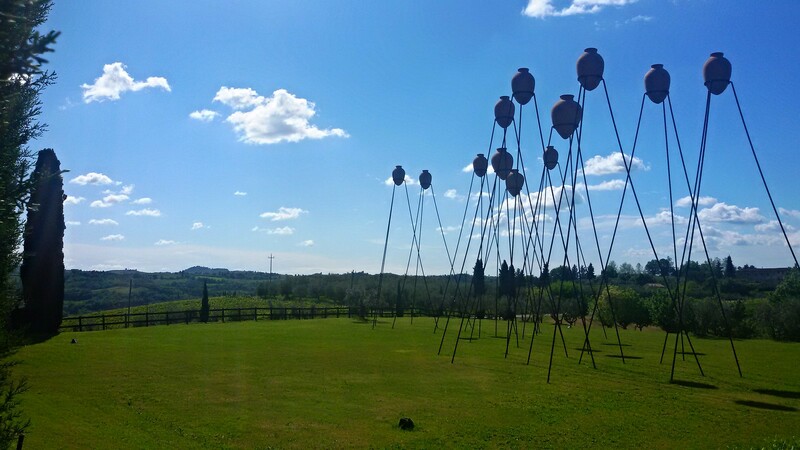 Come with us to discover contemporary art, Travelability offers the opportunity discover the landscape with tours spread in the Tuscan countryside, just a few minutes from the most famous art cities. In Siena’s countryside there is the attractive Castello di Ama where, besides tasting one of the finest wine products exported all over the world, you can admire contemporary art installations by famous international artists, who have created their own site-specific work, expressing their personal emotions in this untouched natural landscape. In the Florentine countryside, Fattoria La Loggia become over the years a real laboratory of creativity, where art is the protagonist in perfect harmony with the surrounding environment. At the same time, you can taste typical products of Mediterranean cuisine. Discover ancient flavors and crafts handed down until today. Modernity and tradition coexist in perfect harmony. All five senses are combined to create a unique and unforgettable experience. Very often the owners of ancient estates become important patrons of contemporary art, following the teachings of the Renaissance times. Upon request, you can also stay overnight at these facilities or organize culinary tours.